A stock market education is expensive, and I’m not talking about the cost of a Harvard or Wharton MBA. Those, while pricey, can actually be cheap by comparison. Sure, you can spend money on investing books or even a fancy trading system. But the real cost of a stock market education is measured in money lost and profits foregone due to investing mistakes. And over a lifetime of investment, that can mean millions — if not tens of millions — of dollars. Unfortunately, there is no real shortcut here. All stock market education is, to some extent, straight from the school of hard knocks. You will make mistakes. Even legends like Warren Buffett and George Soros made horrendously bad investment moves at various points in their careers. But new investors can still give themselves a leg up by studying beforehand. Every serious investor should have a solid library of investing books. I should be clear here; if you blindly follow a trading strategy verbatim out of an investing book, you’re likely to be disappointed with the result. Investing is often more art than science, and what worked for the author might not work for you. But by voraciously reading as much as possible, you can take the tidbits of insight that you glean from each book, and eventually cobble them into a trading style that works for you. I’ll give you a head start with five investing books I keep in my library… and that I recommend you keep in yours. 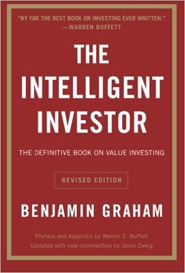 I’ll start with Benjamin Graham’s classic The Intelligent Investor. You simply have no business investing a single red cent until you familiarize yourself with Benjamin Graham. This is the man that invented the investment profession as we know it today. Graham was actively advocating a certification program for analysts in the 1940s, 20 years before the CFA program got off the ground. And he was Warren Buffett’s professor and mentor at Columbia Business School. Without Graham, there would have never been a Buffett — or at least not the investing legend we know and love. The Intelligent Investor is a solid introduction to value investing. And while many of Graham’s specific tricks of the trade (such as buying stocks that are selling for less than their net current assets) are rarely usable in today’s more efficient market, the basic principles are as relevant as ever. My favorite anecdote from the book is the story of the infamous Mr. Market. Graham compared investing to doing business with a wildly emotional business partner, Mr. Market, who continuously swung from extreme optimism to extreme despair and right back to extreme optimism. The analogy might actually be more applicable today than when Graham first wrote it. Graham was a rare, independently minded genius in a field often associated with a herd mentality. Keep a copy of the Intelligent Investor on your desk. It will keep you grounded. 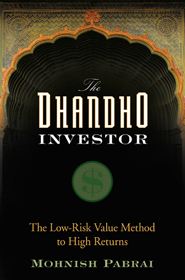 For a more contemporary take on value investing, any newbie to the investment game should read Mohnish Pabrai’s The Dhandho Investor. Pabrai is a master investor who explains the basics of deep value investing in plain English. He doesn’t delve into arcane accounting terms or geeky finance-speak. And for new investors, that’s precisely what you want from your introductory investment books. Pabrai’s basic investment philosophy draws heavily from the experience of the Patels — a group of ethnic Indians who immigrated to the United States in the 1970s after being pushed out of Uganda by dictator Idi Amin. The Patels came to America with virtually no capital and little formal education, yet they managed to build a hotel empire. 2. Tails, I don’t lose much. In other words, they invested when the risk was low and the upside was high. How to Start Investing on Your Own! Pabrai has no special metric or formula. You’re not going to copy his trading moves and make millions — though his book will absolutely help train your mind to think as a contrarian, which is an absolute necessity for success as a value investor. I’m a value investor by temperament, so the first two investment books I highlighted were on value investing. If you find you’re a technician or chartist, you might not find them quite as useful. 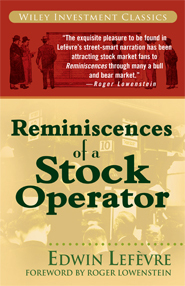 But one book that any investor should enjoy is The Reminiscences of a Stock Operator, a fictionalized biography of the legendary trader Jesse Livermore written by Edwin Lefevre. Livermore was arguably the best trader in history, and no matter what school of investment thought you follow, you should find his life story insightful. Apart from its entertainment value (it’s as engaging to read as a novel), Reminiscences is full of practical “street smarts” that are as applicable today as when the book was first written in 1923. Like the first two books I recommended, Reminiscences is not a “how to” book. You’re not going to copy Livermore’s style verbatim; even if you could, it wouldn’t make sense, as the market has changed a lot in the past century. But there is a lot of solid investment wisdom that is truly priceless. The best advice in the entire book — and I recommend you write this on a Post-It note and put it on your monitor — is “Don’t argue with the tape.” The market might well be irrational, but it can stay irrational longer than you can stay solvent. Most of us like to play the stock market. But for long-term wealth building, asset allocation is arguably far more important. Studies have shown that more than 90% of your portfolio returns are explained by asset allocation. And at any rate, you generally can’t trade individual stocks in your company 401k plan, and this is where most Americans keep the largest chunk of their financial assets. 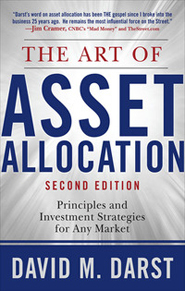 For a big-picture book on planning and allocation, I highly recommend David Darst’s The Art of Asset Allocation. This is not a book on stock picking, but rather a guide to constructing a portfolio from the top down. Darst goes through the essentials for measuring risk tolerance and illustrates how to build a proper retirement portfolio. For most new investors, I’d recommend reserving stock picking for your “play money,” at least at the beginning, and putting your real nest egg to work along the lines of a Darst portfolio. A lot of investors still prefer to use a financial planner, and there is nothing wrong with that. It can be valuable to have a professional shoulder the responsibility, and it removes your emotions from the equation. But if you are the do-it-yourself sort, you can effectively fire your planner and rely on The Art of Asset Allocation instead. I’m not sure if it is a blessing or a curse to be the smartest person in the room. If I ever meet Nassim Taleb in person, I’ll be sure to ask him. 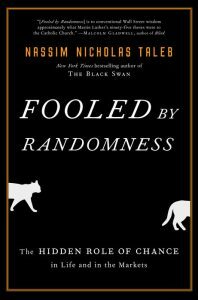 Taleb is more philosopher than investor, but I consider his first book, Fooled By Randomness, to be required reading for all new investors. Nothing — NOTHING! — will lead new investors to ruin faster than an ego, and Fooled By Randomness is the best “keep you humble” book I’ve ever read. It’s easy to ascribe a winning stock trade to your own skill or to a superior system. But the truth is that it was just as likely to have been luck. Taleb forces you to take that long look in the mirror and ponder that possibility. Fooled is not technically a book on risk management, as it doesn’t delve into specifics on how to reduce risk in your trading. But it teaches you how to think about risk, and that is far more valuable. Before you invest any real money in the stock market — or trust another manager with your money — you should read this book. You might have heard of Taleb. He popularized the term “black swan” and became something of a celebrity in financial circles when the 2008 meltdown hit. I consider his The Black Swan and Antifragile to both be excellent reads. But it is still Fooled By Randomness that I consider to be the most useful for new investors. After reading Fooled, you will quite literally see the world differently. I mean that. You will see the effects of randomness everywhere … even in your own life. It will leave you pondering whether your own successes in life were the result of skill and hard work or simply being in the right place at the right time. Article printed from InvestorPlace Media, https://investorplace.com/2016/09/5-investing-books-new-investors/.